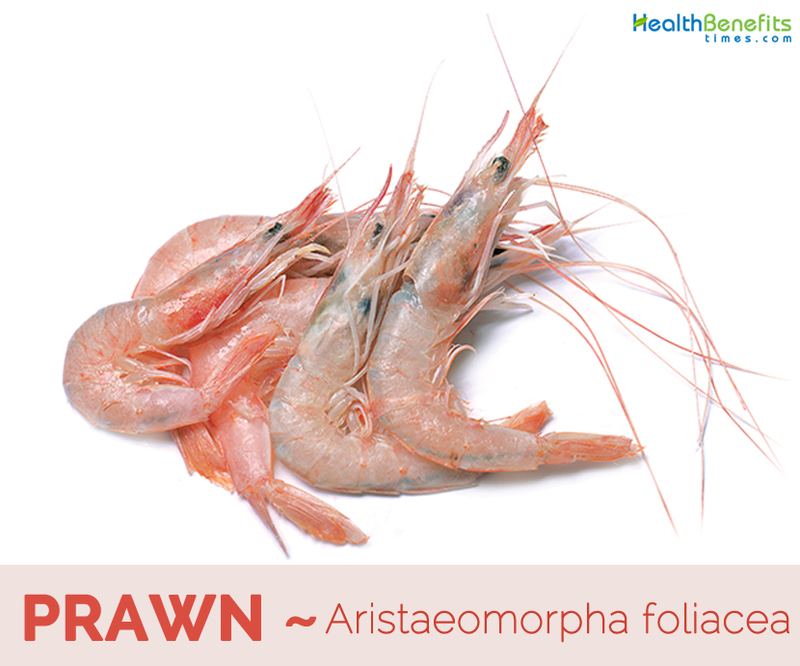 Prawn scientifically known as Aristaeomorpha foliacea is crustaceans that are similar in appearance to shrimps, but they can be notable by the gill structure which is branching in prawns and not in shrimp. The prawn is also related to the crab and the lobster. It is actually a common name for small aquatic crustaceans with an exoskeleton and ten legs (i.e. a member of the order decapoda), some of which can be eaten. The term “prawn” is used particularly in the United Kingdom, Ireland, and Commonwealth nations, for large swimming crustaceans or shrimp, especially those with commercial significance in the fishing industry. Shrimp that fall in this category often belong to the suborder Dendrobranchiata. Prawns are found in calmer waters where the prawns can nest in the water plants to lay their eggs. Like the shrimp, the prawn does tend to prefer the warmer waters in the tropics but some species of prawn are found in the Northern Hemisphere. The prawn feeds by filtering nutritious particles out of the water flowing around the prawn, and the prawn is therefore often found on rocks or close to the sea floor. Prawns can live for two to three years. They mature at about six to eight months of age, and spawning occurs in offshore waters. King prawns tend to spawn throughout the year while tiger prawns mainly spawn during spring and summer. A single prawn can spawn more than once in any one year. The female releases hundreds of thousands of eggs. Adult tiger and banana prawns live in coastal waters as well as rivers and creeks. Prawns generally like lots of mud they can hide in, but they are even happier if there are sea grass meadows or algal beds nearby – these are great places to raise their young! Baby prawns live in these shallow nursery areas for up to six months before they swim into open waters. Prawns are omnivores and essentially scavengers. Some are planktivores and vegetarians. Prawns eat plant material, decaying organic matter, micro-organisms, small shellfish and worms. King prawns are sensitive to light so they bury themselves during the day and feed actively at night. Tiger prawns tend to be active day and night. The type of food varies according to the developmental stage and species of the prawn. Squid, cuttlefish and demersal (bottom-dwelling) fish prey on juvenile and adult prawns. They are particularly susceptible during the larval period, when predators are responsible for high death rates. Fertilized eggs hatch within 24 hours and larvae spend time floating in the water, developing through a number of stages, as they drift shoreward to shallow, hypersaline (highly salty) waters. When they reach these shallow waters, they’re called ‘postlarvae’, and are ready to settle on the bottom, where they develop into juvenile prawns. Prawns, like most other crustaceans, are able to change color, depending upon growth, background coloration and time of day. This coloration is due to the color of the pigment in minute, special cells called chromatophores found in the prawn’s skin beneath the external shell. Common colors found in these chromatophores are sepia-brown, red, yellow, yellow-white and blue. The overall color of the prawn depends upon the relative proportion of each pigment in the cell and the number and arrangement of these cells over the prawn. Thus the color bands on tiger prawns when viewed under the microscope appear as thousands of pigment cells, close together in bands and full of color pigments. On the other hand, school prawns have pigment cells more widely spaced and the pigment is contracted to the center of each cell, giving the prawn a pale-spotted appearance. Deep water prawns have a large number of red chromatophores and appear scarlet or bright red in color. 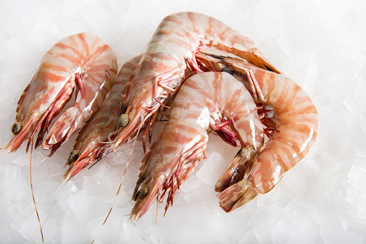 The jumbo prawns are large in size, and each pack of 200 grams will have approximately 10-11 prawns. This variety should always be treated as the hero of the dish because of their size and flavor. These are best for grilling, in salads or in other preparations where you can leave them whole. Jumbo Prawns normally take anywhere between 8-10 minutes to cook. These prawns are super large in size too, but somewhat smaller than the jumbo+. Each pack of 200 grams contains approximately 12-14 pieces. They are perfect for tandoors, barbecues or even served cold with a dipping sauce or in a salad. Super Large Prawns take about 8-9 minutes to cook. Large Prawns are perfect when used in curries, stir fries, pasta dishes and salads. Once cooked, the size is large enough for a hearty bite, but not small enough to disappear in the dish. Each pack of 200 grams contains approximately 17-22 pieces. Large Prawns can cook in about 6-8 minutes. 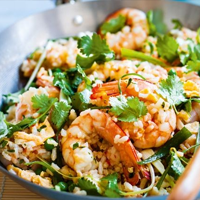 Medium prawns are the perfect size for fried rice. Medium Prawns are larger in size than small prawns which can shrink to a tiny size once they are cooked. Medium Prawns are perfect for noodles, fried rice and a lot of Asian dishes, and curries because they blend in easily. Each pack of 200 grams contains approximately 35-45 pieces and these prawns are cooked in about 5-6 minutes. These are the big, juicy, meaty prawns. Monsters of the prawn world, they weigh in at a mighty 200-400g each and are a meal in themselves. Jumbo tigers are fantastic on the barbeque and will practically take you to heaven and back in the first bite. If you have ever wondered what scampi are made of, it’s langoustine. They are raw and are delicious on a BBQ as the shells tend to roast and add more depth and flavor, you can also grill them if it’s not BBQ weather and get the same effect. Eye catching carabineros are vibrant red, even when raw. They’re quite something to behold and the distinctive color and size earn them sought-after status in the culinary world. Wow guests with a carabineros dish and you’re bound to cause a stir, not least because of their rich and robust flavor. They’re a great conversation starter, too. Pretty in pink, these Argentinian prawns taste just as good as they look. With 15-20 in a kilo they are a substantial prawn, with plenty of meat hidden within the shell. The delicate flesh needs only a flash in the pan or under a grill to make the most of its sweet, buttery flavor with just a hint of nuttiness. Cocktail prawn is actually a bit bigger than your average cocktail prawn; these cooked and peeled prawns are beautiful in a butty or in a simple prawn cocktail. They are really good in Asian prawn dumplings and prawn toast. Deep water gambero rosso are meltingly soft with super sweet, delicate flesh. With a fishing depth of 1,000 meters you won’t be surprised to learn they are a delicacy that doesn’t grace supermarket shelves. Try tossed in a light dish of garlic and herb linguine, rather than overpowered by a rich risotto. They have a flavor you won’t forget in a hurry. Cooked and peeled, small and sweet and absolutely delicious. You can make these shrimps into potted shrimp or into a flavored butter that goes well with steak or simply with bread, butter and a wedge of lemon. Of all the new prawns to hit our shelves recently, the wild spot are perhaps some of the most special. Their delicate, sweet and buttery flavor is in part down to the icy Alaskan waters where they live in the wild – this adds a real depth of character to the prawn and gives it a lovely firm texture. 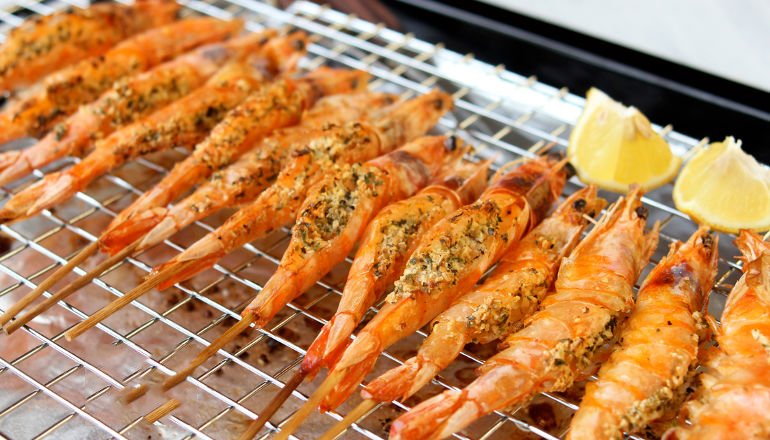 These are the best prawn for BBQ’s, pop them on a skewer and they are incredible. They are raw, headless with the vein removed leaving a split in the shell making them easy to peel with little mess and they look good too. This is a sneak preview of a fabulous prawn, soon to be available over at finefoodspecialist.co.uk. More similar to lobster than shrimp despite its name, the mantis shrimp has a hard shell that needs to be cracked to reveal its firm flesh. A cooked whole prawn, these are ideal for platters, picnics and the larger ones are spectacular on a prawn cocktail or Paella. The smaller crevettes are the type that you would have as a pint of prawns in a pub. They are slightly sweeter than tiger prawns. Tiger prawns are raw whole prawns so endlessly versatile. Fantastic in curries, great on a BBQ as they take on additional flavors really well. The shell can also be kept to make a stock or soup. A person with a healthy heart is actually a happy person. It is a good thing that prawn can help you have a healthy heart. Prawn, like most seafood, is rich in Omega-3 fatty acids. These fatty acids prevent the heart from suffering from various diseases as well as improve cardiovascular circulation. Thus regular consumption of Prawn is quite beneficial for healthy Heart. It can be amazing to hear that calcium can be obtained from seafood. Calcium is essential for body in order to improve bone structure. If you want strong bones as well as strong teeth, then you would need a lot of calcium. Calcium is also needed most especially by growing teens. It is a good thing that prawns can provide that. Consume regularly to get appropriate amount of calcium for the body. 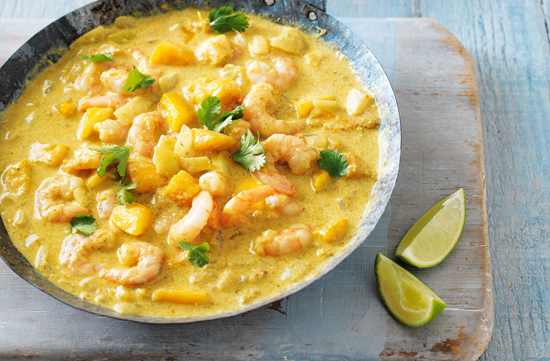 Prawns are a wonderful source of vitamin B12. It is important for the body to get sufficient amounts of vitamin B12. Slightest deficiency of this vitamin can lead to various problems including extreme fatigue, anemia, and even depression. Long term deficiencies have even been proven to result to brain damage. Well-built muscles are essential to perform numerous physical tasks. And body needs protein to build muscles. Prawns consist of adequate amounts of protein. The good thing about prawns being sources of protein is that they are low in carbs unlike other protein sources. There is 17.0 g worth of protein for every 100g of prawn. So consume prawn frequently to get well-toned muscle. Most deaths in the world are caused by the Big C, cancer. That is why every person must be very particular about what he eats. It is important to eat foods that fight cancer. Well, prawn is one of those foods that help prevent cancer. It is rich in selenium, a content which prevent cancer cells from growing. It is important to stay as younger-looking as possible. You do not want to be mistaken for a person older than your age, do you? Well, vitamin E obtained from prawn can help you have better-looking skin. Skin that looks smooth and fair is a sign of beauty. Vitamin E has also been proven to prevent wrinkles. Alzheimer’s disease is one of those terrible diseases that the elderly are fighting today. Having someone in the family with Alzheimer’s disease is awful. They are not really the same since they do not know you anymore. 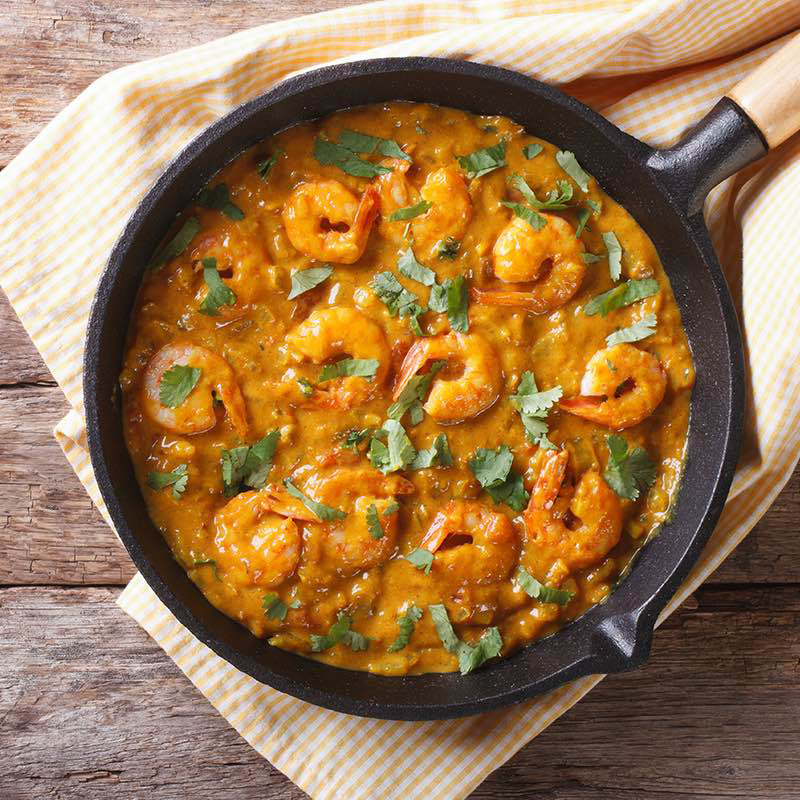 Fatty acids obtained from eating prawn can help delay Alzheimer’s disease from striking. 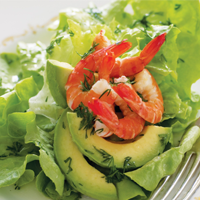 Antioxidants present in the prawns helps to improve the skin health better. It is rich in two vital minerals: zinc and selenium. If someone’s skin is too dry or oily, then Prawn benefits his/her skin. It also controls active white blood cells and helps in wound healing. Pomelo fruit is also helpful in wound healing. High zinc level present in the prawns also improves the immune health. It treats the dead cells and tissue and helps inner working of white blood cells. When buying prawns, choose ones that smell fresh and look wet. A fishy smell shows that they are passing their use-by date. After cooking, also make sure that you eat them within twenty-four hours. King Prawns are usually sold raw and either with or without their heads. If the shell is on the prawn, you will need to peel them but prawns tastes better when peeling them post-cooking. Cooking prawns causes their shells to turn pink and retain a sweet flavor whilst the flesh turns white with a tinge of pink. When cooked too long, the prawn flesh may become tough. To peel the prawn after cooking, turn the prawn over and pull the shell open along its length. If you notice a black line along the prawn, this is the full intestinal tract and you can remove it easily with a knife for a better aesthetic appeal. Leaving it on is also suitable since it is not harmful to eat these. 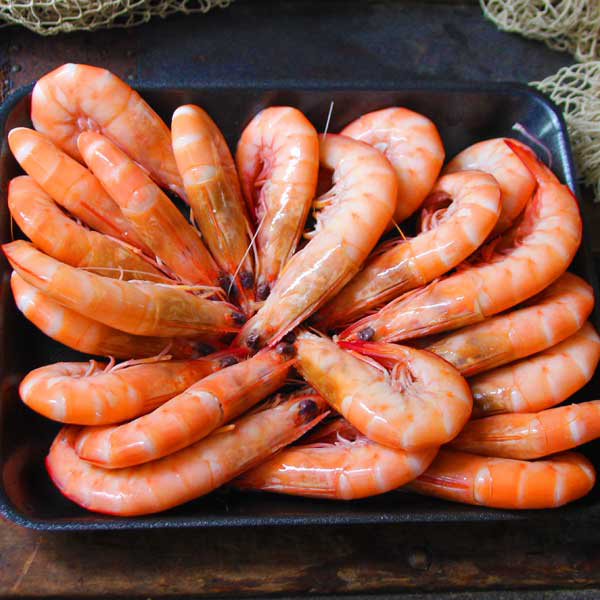 Prawns may be cooked through poaching, steaming, pan sautéing or frying. Poach prawns by cooking them in a low temperature liquid such as oil or coconut milk. The low temperature helps to preserves the proteins of the prawns and prevents them from becoming tough too quickly. If you want to use the prawns in a salad or served immediately, dip them into iced water. Steaming your prawns will also take longer and preserve the prawns by heating them gently. You may wrap the prawns in aluminum foil with parsley or coriander and onion, and then cook in a moderate oven heat for ten minutes. You may also use a microwave steamer and cook until the prawns have turned pink. Many recipes recommend this method of cooking since it brings out a delicious flavor in the prawns. Heat oil until it begins to smoke and then add the prawns. Use a good quality extra-virgin cold pressed olive oil, or coconut oil, which will provide you with additional nutrients. Drain and remove the excess oil on a paper towel. 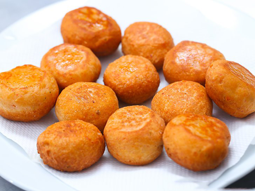 Batter used during frying can protect the vitamins and minerals in the prawn from the high heat used in frying. For example, cover them in a flour, salt, pepper and herb mixture before adding them to hot oil in the pan. Make sure to monitor the pan carefully, turning as needed. To make the sauce: Mix together the mayo, ketchup, lemon rind and Tabasco sauce with the seasoning. Pour the lemon juice into a bowl and mix in olive oil and dill. Then add the avocado while stirring to coat in the dressing. After this, you stir in prawns. To serve: Spoon some of the prawn and avocado mixture onto each plate, arrange a few lambs’ lettuce leaves on top, and then spoon on some of the sauce. Garnish with lemon slices and sprigs of dill, and then grind black pepper over the top. Boil the prawns in the stock (with tails in-tact) in the stock and simmer for 15 minutes. Prepare and drain the noodles. 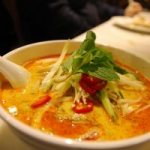 Stir the Laksa over a medium heat with the sugar and add the strained stock with coconut milk. Boil and then simmer for 5 minutes. Add the prawns and continue to simmer until prawns turn pink. To serve: cover the noodles with bean sprouts and cucumber, pour over the prawn soup and add spring onions and coriander. Combine chilli, lime juice, garlic and oil in a bowl. Add prawns. Toss to coat. Cover with plastic wrap. Refrigerate for 30 minutes, if time permits. Place noodles in a heatproof bowl. Cover with boiling water. Set aside for 10 minutes. Drain. Refresh under cold water. Drain. Make dressing Place fish sauce, lime juice and sugar in a screw-top jar. Secure lid. Shake to combine. 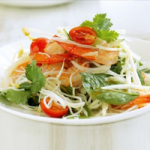 Place papaya, eschalot, tomato, beansprouts, coriander, mint, basil and noodles in a bowl. Add dressing. Toss to combine. Heat a frying pan over high heat. Cook prawns, turning, for 3 to 4 minutes or until pink and just cooked through. Divide papaya mixture between plates. Top with prawns. Serve. Using the palm of your hand, slightly flatten prawns. Place flour in a bowl. Add prawns. Toss to coat. Whisk egg and 2 tablespoons cold water together in a shallow bowl. Combine coconut and breadcrumbs on a plate. Dip 1 prawn in egg mixture, then breadcrumb mixture. Place on a plate. Repeat with remaining prawns, egg mixture and breadcrumb mixture. Heat oil in a large frying pan. Cook prawns for 2 minutes each side or until golden and cooked through. Meanwhile, make aioli Place mayonnaise, garlic, lime rind and lime juice in a bowl. Stir to combine. Heat 2 teaspoons sunflower oil in a wok or large frypan over medium- high heat. Add the egg and cook, stirring, for 1-2 minutes until softly scrambled. Remove egg from the pan and set aside. Add remaining 2 tablespoons sunflower oil to the pan, then cook chilli, spring onion and garlic, stirring, for 1 minute or until fragrant. Add prawns and cook for 2-3 minutes until opaque. Return egg to the pan with rice, soy, sesame oil, sweet chilli sauce and peas, then cook, stirring, for 2-3 minutes to warm through. Garnish with coriander and serve with lime wedges, if using. Spot prawn can reach more than 9 inches in length. Females are larger than males. Prawn discards exoskeleton (outer shell) several times in a lifetime, during the periods of intense growth. Spot prawn migrates toward the shallower waters during the night to find food. Spot prawn eats plankton, algae, worms, sponges, mollusks and small shrimps. Spot prawn migrates into deeper waters during the day. It often hides buried in the sand (to avoid predators). Natural enemies of spot prawns are squids, fish (halibut, cod, flounders and salmon) and humans. Mating season of spot prawns usually starts in October. Spot prawns migrate toward the shallower waters and mate on a depth of 500 to 700 feet. Females are able to produce 4.000 to 5.000 eggs per season. Fertilization of eggs takes place in the water. Specialized hairs on pleopods, called “setae”, are designed for carrying the eggs. Female carries fertilized eggs usually 4 to 5 months (until they hatch). They grow quickly and usually reach sexual maturity at the age of 6 to 7 months. Most spot prawns spend first two years of the life as males. When they reach 8.4 inches in length, spot prawns transform into females. Males can mate few times in a lifetime, while females mate only once. Prawns are omnivores and essentially scavengers. Some are planktivores and vegetarians. The prawns are classified under six families, Palaemonidae, Penaeidae, Pandalidae, Alpheidae, Hippolylidae, and Sergestidae. The freshwater species are included in the family Palaemonidae. Prawn species are sensitive to light so they bury themselves during the day and feed actively at night. Tiger prawns on the other hand are always looking for a bite to eat! Everything has both good effects and bad effects. Same is with prawn. 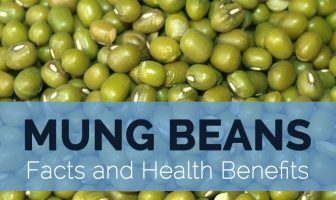 Being rich in nutrient and having so many benefits. There are some nutrients which can cause side effects to your body. Oz. of prawn serving is equal to the daily limit of 200 gm. of cholesterol. Like any other meat prawns also contain a high rate of cholesterol in it. If you are suffering from any kind of heart problem or high cholesterol level then it is advised that you should avoid it. In case if you are willing to eat prawn than avoid another cholesterol intake that you consume throughout the day. 152 milligrams of cholesterol per 100 gram serving of prawns, just two servings would put you daily diet over the recommended allowance of 300 milligrams of cholesterol. Which may cause may cause heart diseases. 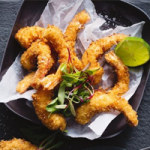 Prawns consists of some toxic content such as dioxins, PCBs, and other banned chemicals which are the major disadvantages of eating prawns. Farming the prawns is harmful to the other fishes as they are also fatal for fishes because they take 3 pounds of wild-caught fish to feed produce a single pound of farmed prawns. They consist of extra quantity of skin in them which is hard to digest and may also affect our digestive system. One of the main prawn’s side effects is that it may also be allergenic to some persons. It may cause the stomach problems and as well as diarrhea. So people are suggested to eat prawns from their trusted restaurants. Body Narrow, tapering body, under which the tail is curled, and long, whiskery antennae. The body is encased in a brittle shell, and all types have ten legs. The size ranges from 2.5 to 30 cm. Body Color When raw, they are bluey-grey or, in the case of the smaller varieties, almost translucent. Predators Squids, fish (halibut, cod, flounders and salmon) and humans.